This is a great product. Although it's targeted at first time coating users in my opinion it's a perfect coating for anyone. Why? 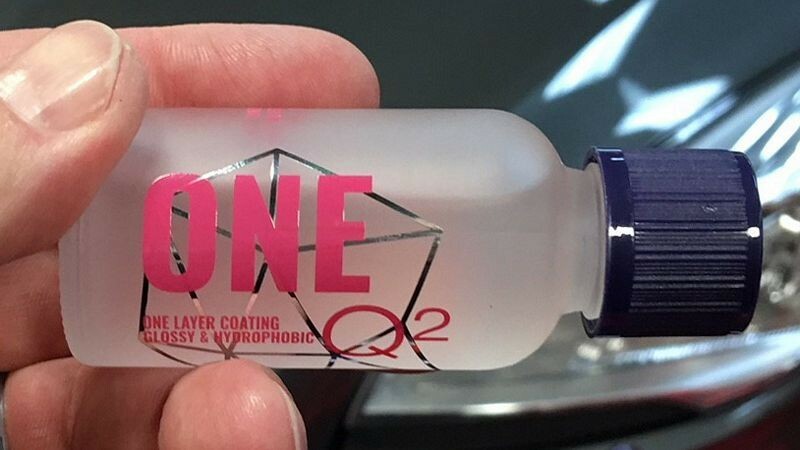 Because I'm in the camp that for most people, driving daily drivers, you don't want a 2, 3, 4, 5, 6, 7, 8, 9 year or infinity coating because even with a coating, your car because it's exposed to the elements and wear-n-tear, should really be re-polished and then re-coated once a year to maintain both maximum protection and maximum gloss and beauty. I knows this because I've polished coated cars and I've seen the embedded dirt film called road grime come off the car and onto my pad. So call it a once a year coating or an enthusiast coating, it's really a great choice for anyone wanting to protect their daily driver. 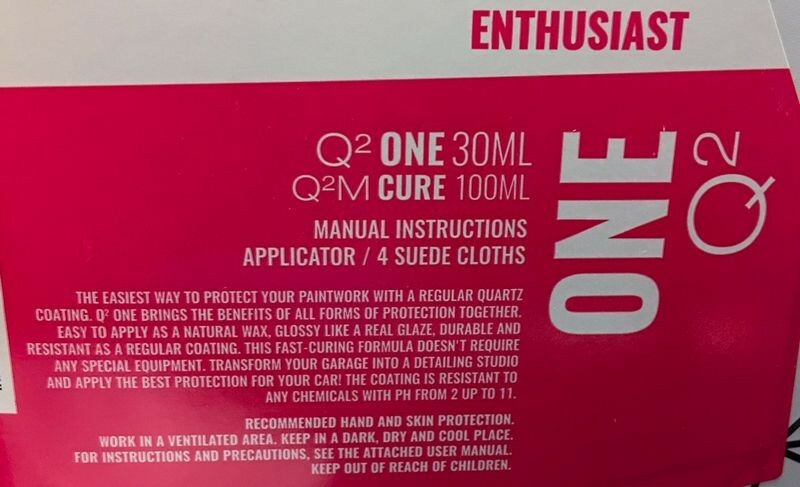 If you have a garage queen... then sure go for the 2, 3, 4 and so-on coatings advertised to last for multiple years because the paint on garage queens does't see the elements or the wear-n-tear like daily drivers. Coatings are NOT like traditional car waxes and synthetic sealants. First unlike a car wax or synthetic sealant, there is one extra step required of you to do to the paint on your car before you can apply the coating and that is to chemically strip the paint. I'll show you how below. Also, coatings take a little more effort to apply. 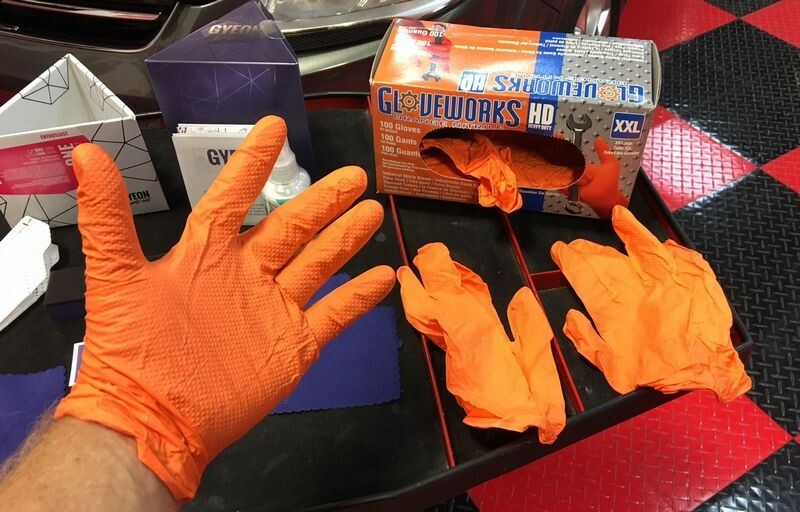 They don't tend to glide over paint like waxes and sealants and this isn't a big deal as long as you're aware of this (and now that you're reading my review you are "aware"), and here's my very simple tip and technique to make applying any coating easier. Slow-down. That's right, don't try to push the applicator over the paint quickly like you can with waxes and sealants. Simply slow down and allow the applicator and the coating to spread over the paint at a speed you can feel through your sense of touch that makes the movement feel easy, not forced. This means allowing a tick more time to apply a coating to your car than you would allow for applying a traditional car wax or synthetic paint sealant. The benefits are worth it. 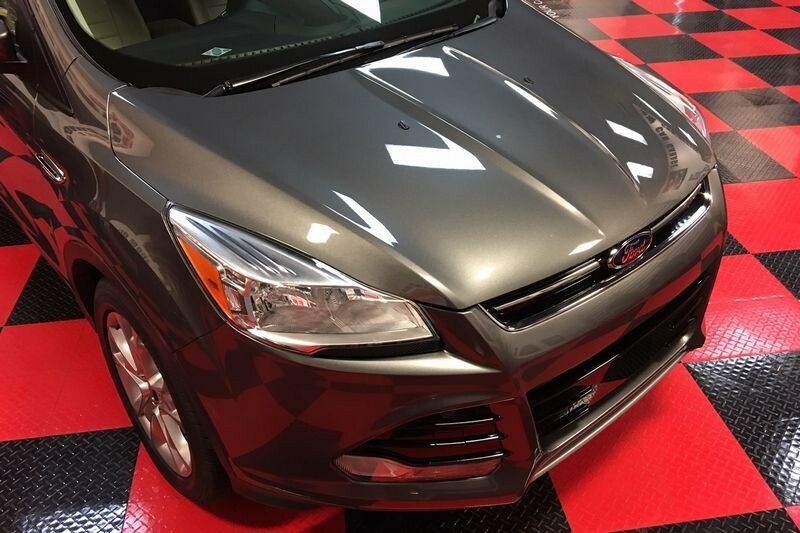 What are the benefits of a ceramic paint coating? Extreme gloss - So much gloss that the word I use to describe the appearance is glassy. Glassy is a tick higher than glossy. 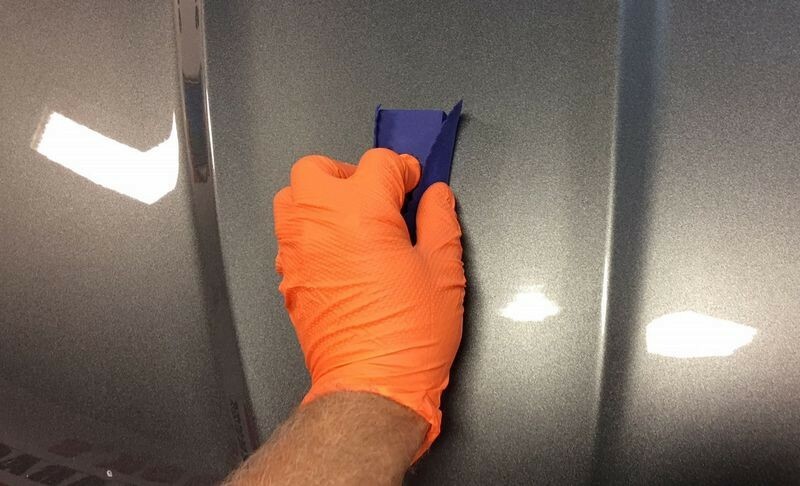 Extreme durability - Correctly applied, coatings simply don't wear off like car waxes and synthetic paint sealants. Of course, it is important to still wash a coated care carefully and I have an article on that and will share it later in this thread. Better protection - Hey if it's lasting longer on the car obviously it's protecting longer. Faster washing - Ceramic coatings create a hydrophobic or water-fearing surface - water naturally wants to get away from a ceramic coated surface thus washing is faster as dirt is released easier and faster when washing. Faster drying - Same reasons a ceramic coated car is faster to wash, water wants to get off the car so it will naturally blow off or wipe off. Self-cleaning effect - Because of the hydrophobic surface, when it rains the water will run off faster and easier and take any accumulated dirt with it. This new coating is targeted at you if you're still using car waxes and synthetic paint sealants. I'll show you below how to apply it. 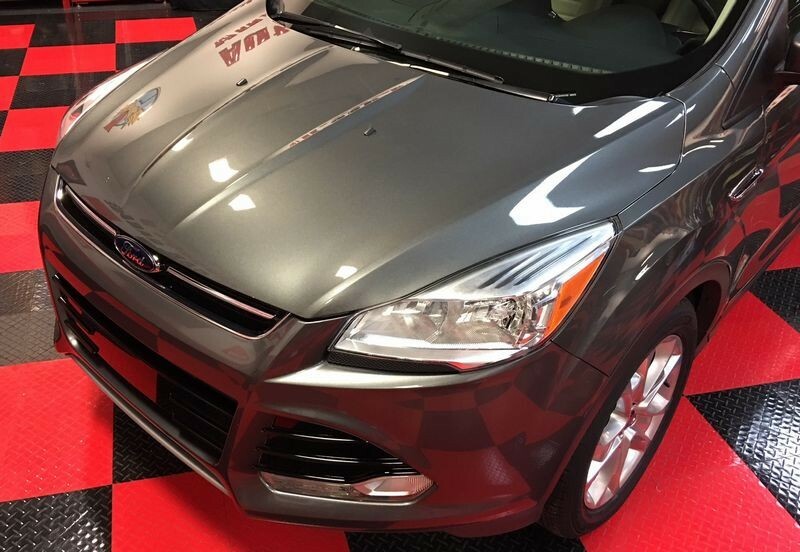 It's not hard as long as you follow the directions and once you've coated your car you'll have all the experience you need to tackler future coating projects. 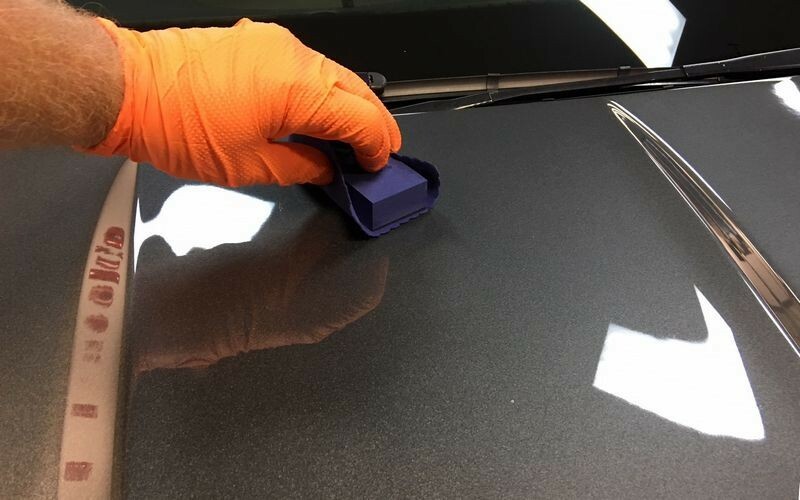 This new coating is as easy as it gets when it comes to applying and wiping off the coating. Professional grade coatings can last longer because there is a higher concentration of "solids" in the formula. It is this higher concentration of solids that also makes it more difficult to wipe-off. 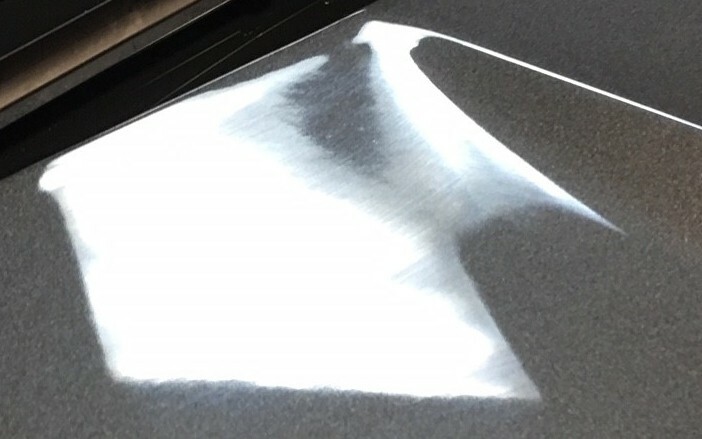 The solvents used to hold the coating in a liquid emulsion can vary greatly, and this will also have a major influence on how easy or how difficult a coating is to wipe-off. 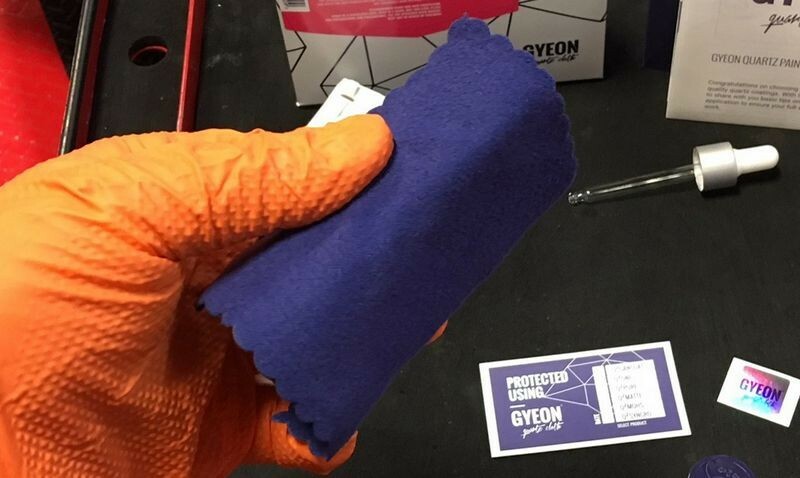 GYEON has taken all these things into consideration and created the perfect balance of a super high quality coating that is easy for the novice to install. When I hear the word install I think of having new tires installed on my car or having a new stereo installed in my car. The word install is the new term for the word apply. So when you hear or read about someone installing a coating all that means is they are wiping it on and then wiping it off. There is no mystery around the word install, it's just the latest detailing slang for the word apply and wipe-off. 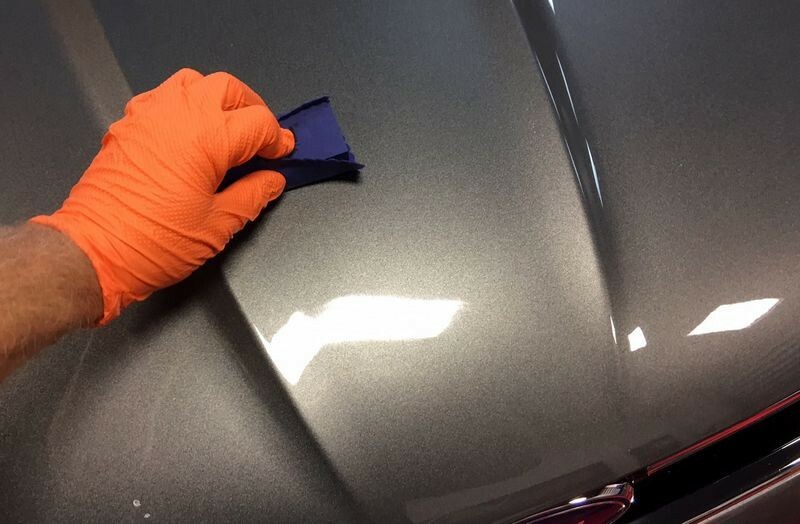 The key thing is the paint needs to be clean as in any above surface bonded contaminants removed as well as any road grime or road film that is impacted onto the paint. 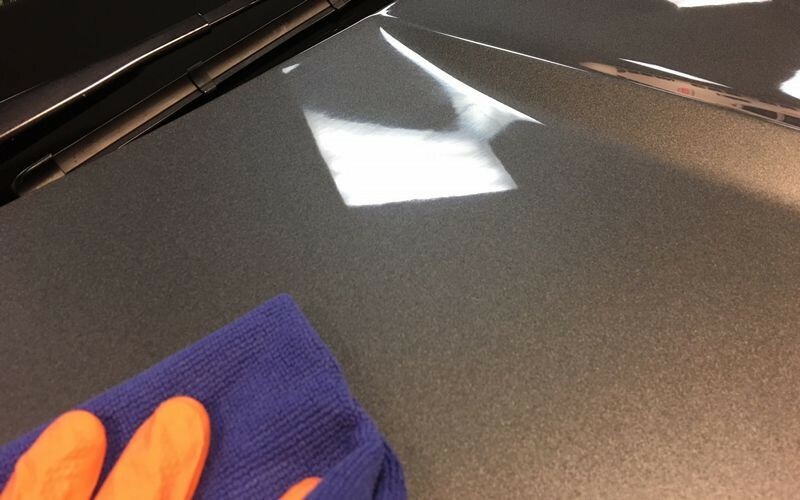 Normal washing will not remove above surface contaminants or road film. 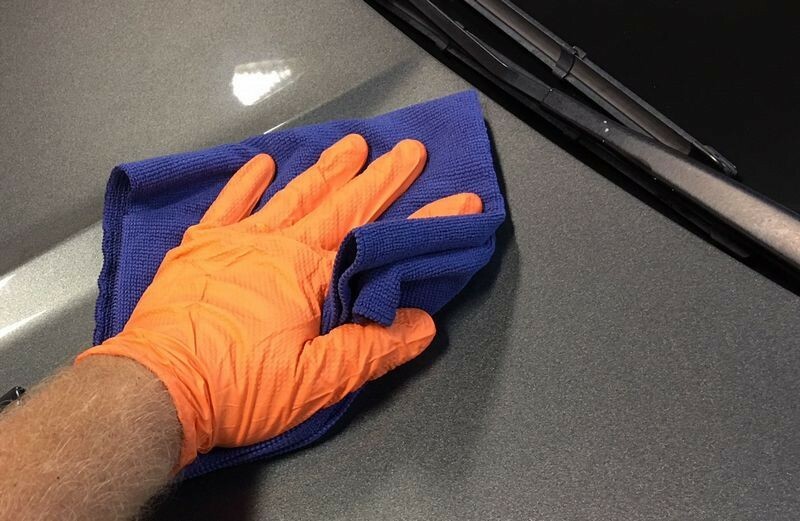 To remove above surface bonded contaminants you need to use detailing clay or tools like the Nanoskin towels, mitts or pads. Washing will also not remove embedded and impacted road film. To remove road film you need to use one of the below or a combination of the below. The BIG PICTURE is you want the paint to be smooth and clean or free from any substance that is not the paint. Assuming you have already reached the point where the paint is clean and smooth, now it's time to chemically strip the paint. What does this mean? In simple terms you're going to use a mild solvent to wipe the paint surface to remove any foreign substance. The best example for what this is abll about is say for example as a part of the process of prepping the paint you used 2, 3, or 4 of the listed ways to prep paint above. A paint cleaner, polish or compound will tend to leave oily residues on the paint even after wiping with a microfiber towel. These oily residues will HINDER the coating from making a proper bond. 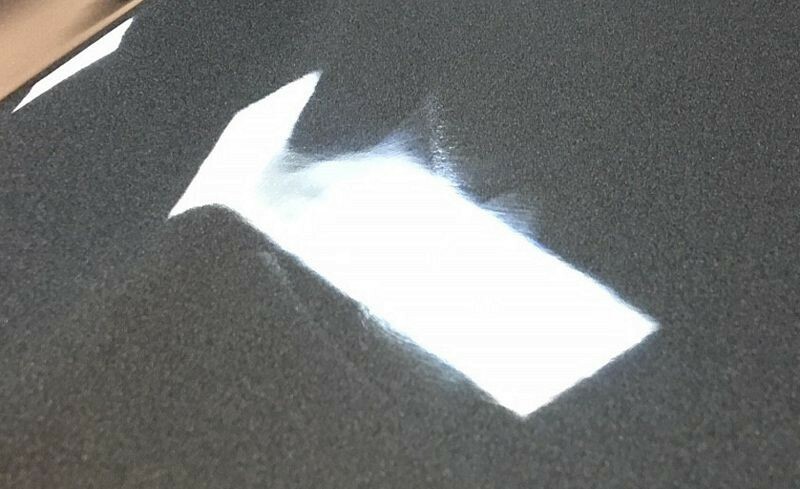 So the idea behind chemically stripping the paint is to dissolve and remove any substance that could hinder the bonding of the coating to the paint. This is the extra step that is required for use when installing coatings that is not required when using a traditional car wax or synthetic paint sealant. Note how I used all capital letters for the heading for this section? That's to stress how important it is to have lots of high quality, clean and soft microfiber towels. You see, clearcoat paints are scratch-sensitive, this means THEY SCRATCH EASILY. Now follow me... it takes HOURS to buff out a car to perfection. 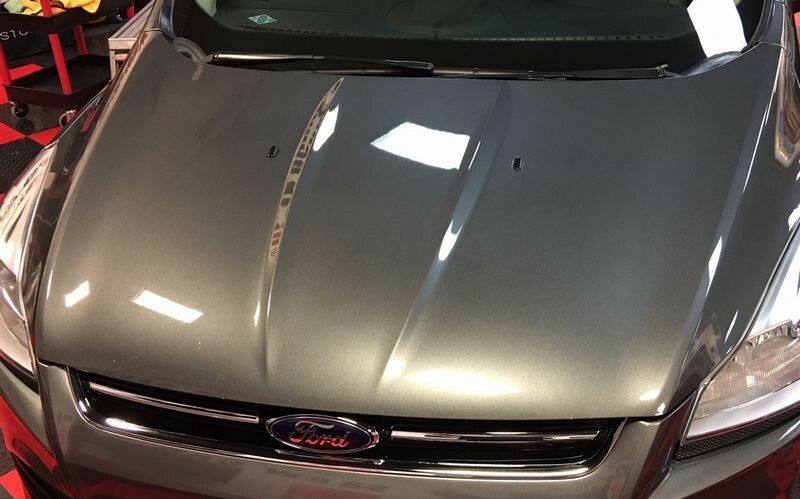 It takes SECONDS to put swirls and scratches into a clearcoat paint finish. Guess where most swirls and scratches come from? Dirty, contaminated towels. 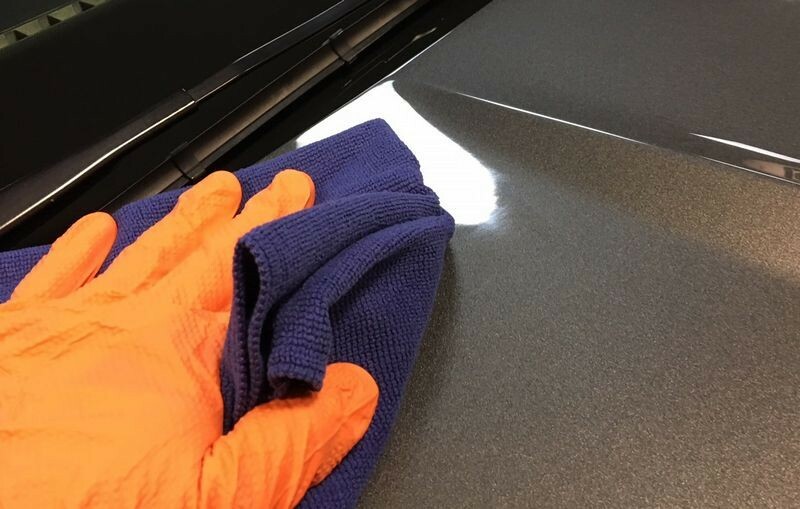 If you're going to invest the time and money into putting a ceramic paint coating on your car's finish then plan for and budget for a generous amount of DEDICATED microfiber towels JUST for this process. 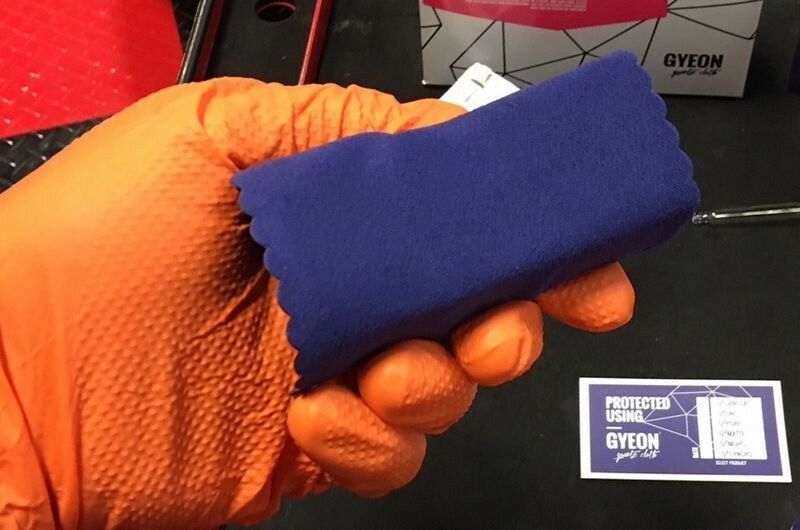 I cannot speak highly enough about the Bald Wipes from GYEON. These towels, unlike most towels have a flat weave instead of a fluffy fiber nap. They are SO LESS LIKELY to become contaminated due to the flat weave. This takes a LOT of the risk out of using them the first time and then using them over and over again because they simply hard to contaminate. What do I mean by contaminate? I mean fluffy microfiber towels, it's very easy for any type or form of abrasive particle to embed into the fluffy nap. Not so with a flat weave. Inspecting the towels is faster too and this speeds up all paint related processes. 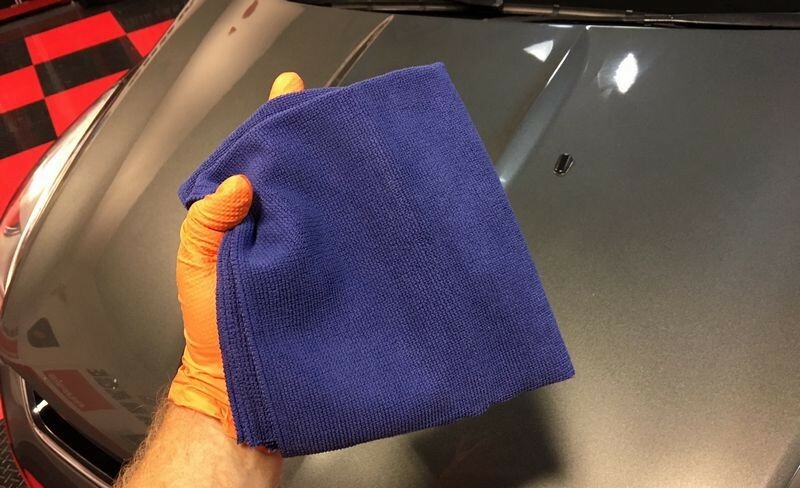 If you don't know how to inspect a microfiber towel or why, read my article here and watch the video. Remember - takes HOURS to remove the swirls and scratches and only SECONDS to put them in... so clean towels are key. The last thing you want to do is start a detailing project and run out of trusted towels. So my recommendation is to get 6 Bald Wipes minimum and if your budget allows, get 12. Why 12? Because then you can make a dedicated small wash load washing ONLY these 12 towels. Then dry them together and then store them together. Look at them as tools or as a "tool investment". 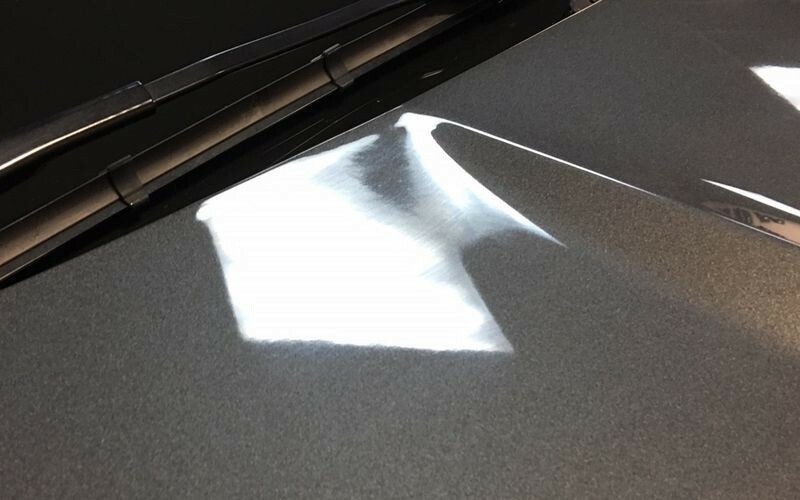 Take my word for it... towels are your best friend if you're don't want to put swirls and scratches into your car's scratch-sensitive clearcoat finish. (this applies to wash mitts and drying towels too, basically anything that touches the paint). I know for some, this can sound horrible, that is chemically stripping your car's paint. It's something about the words, chemically stripping. But have no fear, we're not using Aircraft Qualtiy Paint Stripper, a product designed to melt and dissolve paint right off a car. 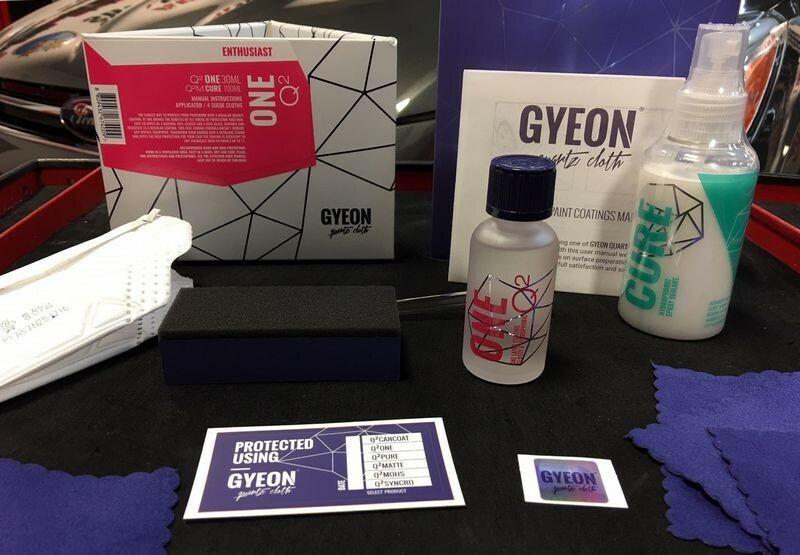 We're talking about a product formulated by GYEON specifically to carefully remove trace polishing oils. It's really not that bad. he first pass is a very wet pass to remove 98% of any trace oils or other substances. This is called the Wet Pass. After wiping down the entire car I then wipe the car a second time only I dramatically reduce the amount of Prep I use, this is a moist paint I call the Insurance Pass. This second pass insures I have thoroughly removed any and all trace residues. Spray enough to see beads of product on the surface. You should spray enough that the product almost starts to run off like you see in the picture below. IF it's running off that's a tick too much, aim for just before running off. Me spraying a mist or two onto a clean, folded 4-ways Bald Wipe. Then wipe down a section of a large panel like the hood. Sorry no pictures, but my camera broke, use good technique by spreading the product out and then wiping the product off. 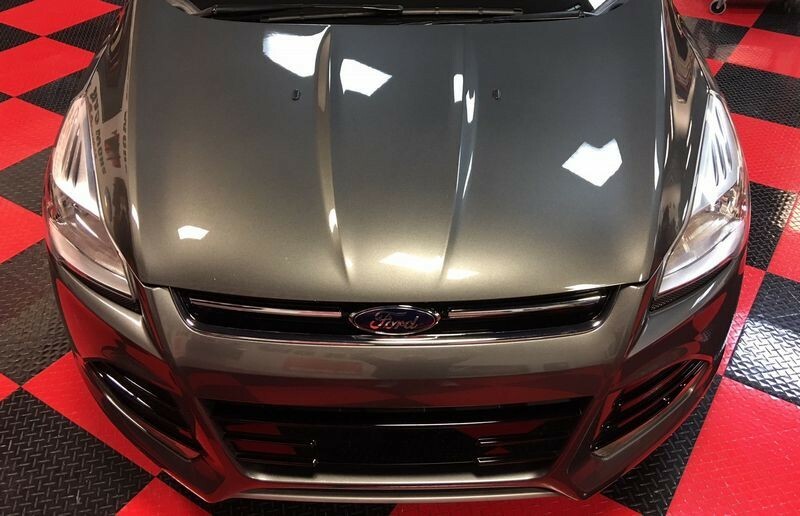 Below is what the towel looks like after wiping just the hood on this Ford Escape. I've unfolded it to show you how wet it looks after one section. Question: Now think about it... besides the Prep... what else is on this section? You want to avoid cross-contamination. This is why you need lots of towels for the chemical stripping step. Now I've refolded the towel and while this portion of the towel is wet with Prep, it is still clean as it has not been used to wipe paint. Continue moving around the car spraying sections or panels of paint with Prep and then using clean sides of your Bald Wipes to wipe off oily residues. Note how I hold my towels? Here's another picture showing how much Prep I spray for the first or initial wipe. I sprayed enough onto the front fender that here were plenty of beads of Prep and it just started to form together to run or stream off the fender. Continue the above until you have wiped down the entire car. Normally you start at the top and work your way down. For pictures for this article I started on the hood and after getting some pictures moved to the roof. This first one is a section of the roof that I have sprayed with the Prep. Note the way the light looks on the paint in the front, right hand corner of the picture? Here I've cropped out the above section. See where it looks kind of mottled? What you're seeing is trace residues of oils from the polishing step. Sure I wiped the entire car down but trace oil residues are CLEAR - you cannot see them until you do something to make them show up. In this case I could see them AFTER spraying the paint with the Prep and instead of simply wiping them off I got my cell phone and took these pictures to hopefully enlighten you or to use a bad pun... clear things up. Fro the second wipe or the Insurance Pass, simply MIST some Prep onto a clean, folded Bald Wipe and use this slightly damped side of the towel to re-wipe a panel. After wiping one panel, flip or fold to a clean side and repeat until you've made this second pass to the entire vehicle. Don't spray Prep directly onto the panel, you'll get overspray mist onto finished panels. Sorry no pictures of me doing the Insurance Pass, no one around to take the picture. Use your imagination. I used 3 Bald Wipes for the Wet Pass and 2 Bald Wipes for the Insurance Pass. You can visibly see how wet these towels became doing the wet pass. And you can visibly see how lightly dampened these towels become doing the Insurance Pass. 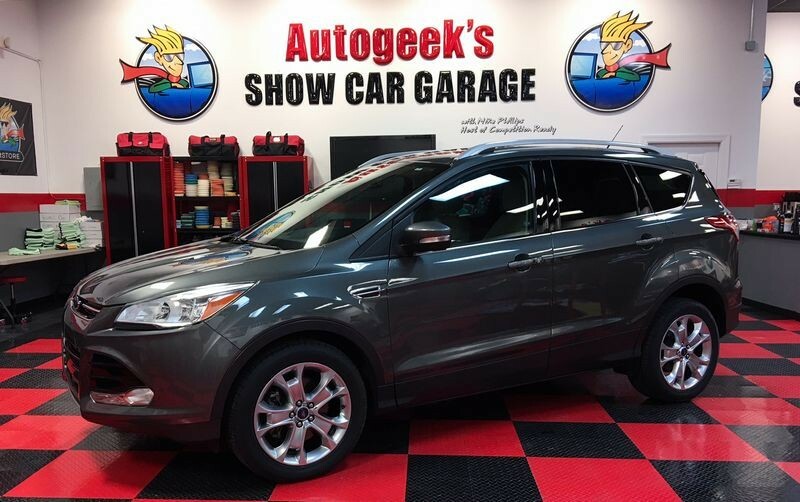 And here's how much Prep I used to chemically strip a 2014 Ford Escape Sports Utility Vehicle. And here's the Ford Escape after chemically stripping. Before getting to this point I will note that I started this project by washing this car, then claying, then compounding. So the paint was very clean and smooth before the chemical stripping step. This is the fun part! 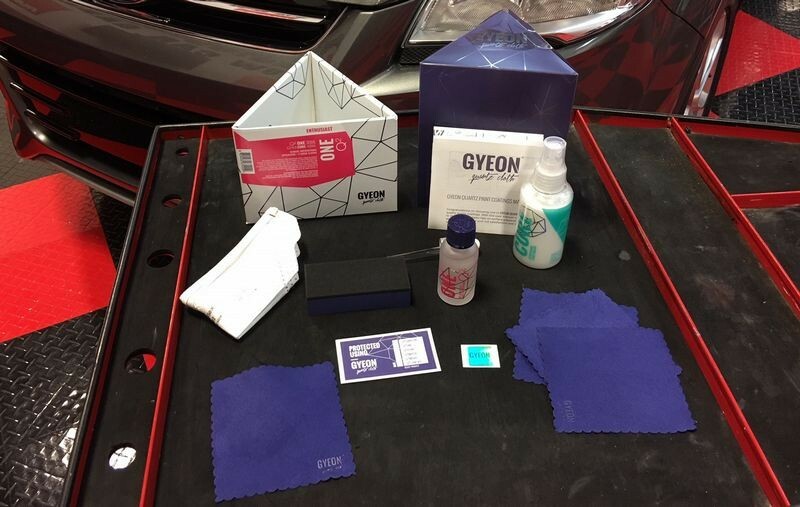 This is the 30ml kit and it comes with everything you nee except nitrile gloves to install the GYEON Q2 One to your car's finish. New for 2018 are frosted glass bottles instead of clear glass bottles. Nice touch, makes it easier to photograph. Most coatings are applied like I'm going to show you. The kit comes with a foam block, one side has a thin soft foam layer, this is the down side as the soft foam will compress to follow curves in the body panel. You take and fold the suede patch of cloth around the block and then use this to apply the coating. After folding the suede patch of cloth around the foam block then dab some coating onto the face of the suede patch. I know most people say apply a few drops but I prefer a wetter applications as it makes it easier to move the block over the paint and it makes it easier for me and thus faster for me to see the layer I'm laying down. You only need a thin film on the surface so adjust the volume of product you use to suit your taste and technique. Everyone has to find their own technique as far as holding this suede cloths wrapped around the foam block. I find the nitrile gloves actually help me to grip the suede-wrapped block. 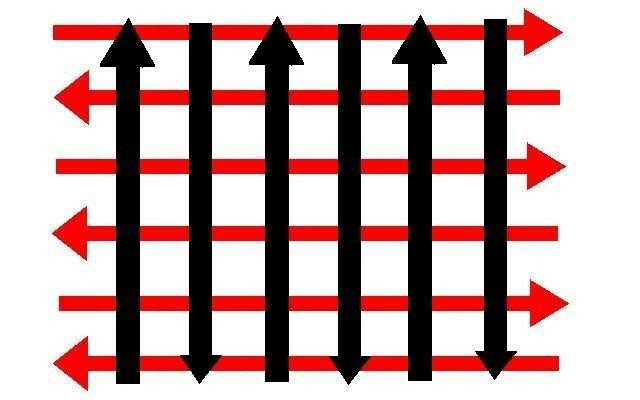 There is NO MYSTERY behind why you move the applicator block in this pattern EXCEPT to ensure UNIFORM COVERAGE over an entire panel or section of a panel. That's it. If you think you can create uniform coverage using a circle motion or ANY other pattern for applying a coating then go for it. The crosshatch pattern is a universal easy to duplicate pattern that anyone can master. 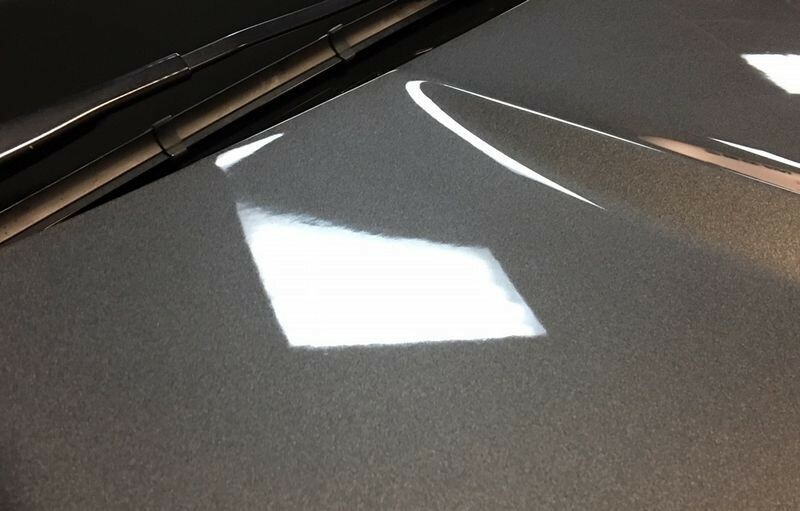 When applying a coating, the goal is to work the product over and into the paint (as much as is possible as clearcoats are impermeable), until you basically see the product disappear. I find it's easy to make the product disappear in the middle of panels but around the outer edges where I usually lift off the foam block I always leave a high spot or smudge. Underusing the product makes it easier to apply until it visibly disappears. It also makes it more difficult to see a film being deposited. Somewhere in the middle of too little and too much product is the sweet spot you're aiming for and with practice you'll fine tune your application or installation process. 1: How many times to do the crosshatch pattern over a panel or section of a panel? 4 times is a good rule of thumb. 2: How large of a section do you apply to? Small sections. I broke this hood into 3 sections, the middle and outside sections as Naturally broke up by the raised body lines. I applied to the entire hood, one section at a time. 3: How long to you let the coating sit on the surface before wiping it off? A minute or less. Basically, after applying to a panel I would set the block and the bottle of coating down and then grab a clean Bald Wipe and wipe the panel clear and free from any coating residue. Tip: Start by removing the excess coating where you first started to apply it and then follow your path of travel. When I first heard the term high spot I wondered what the heck they were talking about? As a word-guy, (I have 5 published books so I guess I'm a write and thus a word-guy), I would have used one of these words or terms. But once the Genie is out of the bottle it's impossible to put him back in. The term high spot simply means excess product. It will look like a streak or smear. No problem... simply wipe this high spot carefully to remove the excess product. With this enthusiast level product this is easy to do as the product is very forgiving. With some pro-grade products, the difficulty increases especially if not remove fast enough as the solids that are the coating will start to cure and solidify onto the paint. It's very important to remove the high spots, don't ask me how I know. Remember I said you want to have LOTS of clean, Bald Wipes on hand? Yep. You're going to need them and want them, that's two things. Take a clean, Bald Wipe and fold 4-ways. The carefully wipe each panel to a clear, high shine. Use overhead and any surrounding lights and look at each panel from multiple angles to locate high spots and then gently wipe them off. Turn to a clean side often for the final buff. Below this towel is the high spot I pictures above and with a gentle wipe it's gone. Kind of hard to see in this picture but there's high spot or smear of product in the corner back by the wiper arms. 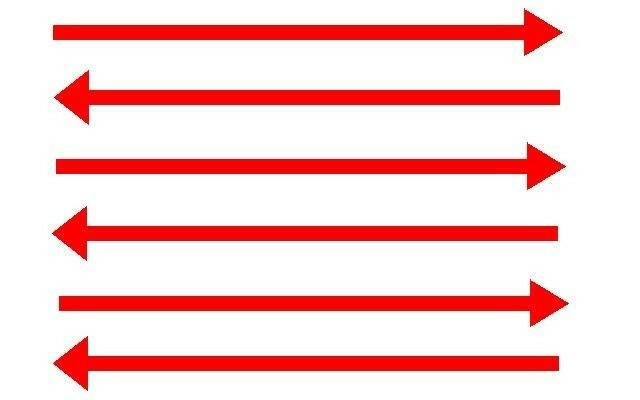 I've placed some lines next to them to show you the direction of the smears or high spots... There's lots but my cell phone had a hard time picking them up. No problem - just like a wax smear, simply wipe the area gently and remove the high spots. And BOOM! Super clear, super glassy looking paint. The key to removal is simply to take your time and use surrounding light to see and then remove any high spots. 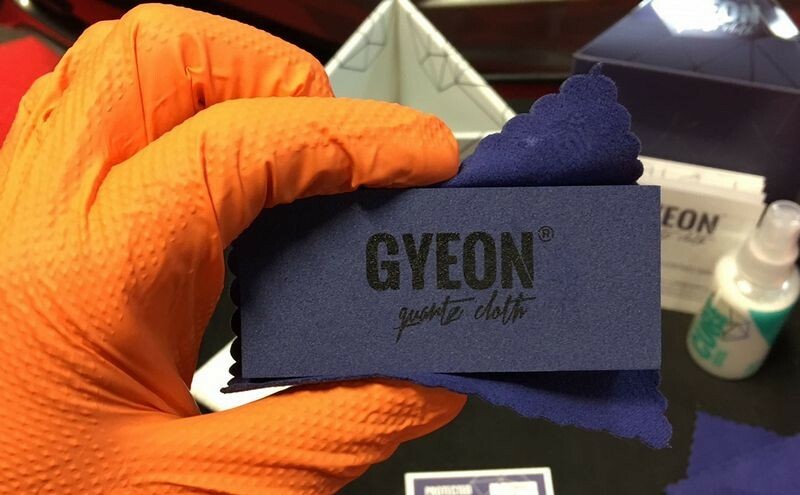 If you're new to ceramic paint coatings, this new offering from GYEON is a great way to get your feet wet. It won't break the bank and it's user-friendly. If you want protection that lasts longer, makes washing and drying faster and easier and makes the paint on your car look dripping wet... then you want a ceramic paint coating. 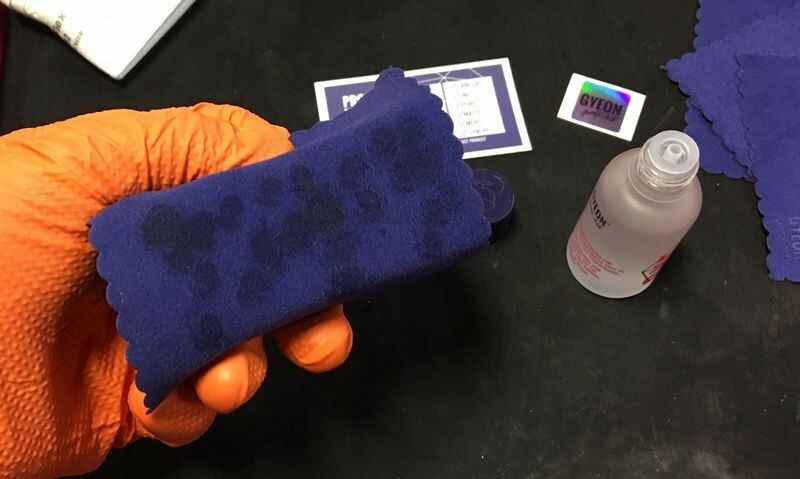 When you order your GYEON Bald Wipe towels, tell our customer care staff you read this article and let them know I recommend getting at least a 6 pack and even better, get a dozen. Once you start using these towels you're going to love them. I'll share the link to a future article that explains why. Great detailed write up Mike. The coating looks like a winner. The little SUV looks great. Did you polish after compounding based on your Facebook live videos? Very nicely written. Your time to document the process and explain to all levels of people trying this is much appreciated. Great detailed write up Mike. Thanks Mike. I may be the first person that has used the written word to explain what "high spots" are? The coating looks like a winner. For what it's worth, my trusty dusty Canon Rebel T5i broke half way through this project. What this means is those "after" shots? Those were taken with my iPhone 6+, not my normal camera. New camera on the way. The little SUV looks great. Owner loves it. That's what's most important. Did you polish after compounding based on your Facebook live videos? Great questions, (my Facebook Live videos have seen HUGE hits by the way). The answer is "no". I compounded with the white LC Hybrid pads and the FLEX 3401 on speed 5 and then stuck a fork in it and called it done. I truly found the paint on this Ford to be on the hard side. She didn't have a lot of swirl and scratches to start with, the owner takes care to wash and dry carefully, remember your car's paint looks comes down to how >you< (or someone else), TOUCHES it. It all comes down to the touching. I tested this compound out at SEMA and was very impressed with the abrasive technology. 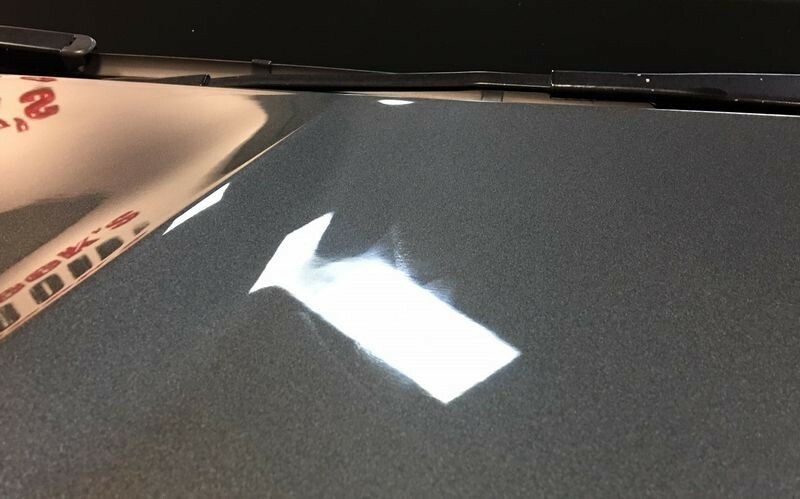 I did a Test Spot on the hood and after wipe-off and then chemically stripping the test spot had had the confidence to ONLY compound the paint and it was a quick compound, mostly to remove road film and minor or shallow swirls and scratches. I need to find a totally swirled out car like the last to 1970 Chevelles I detailed to really put this compound to the test. I have 9 classes I have to prep for as Mobile Tech Expos is about 2+ weeks away. Then I have my 2-day boat class and right after that my 3-day class. Point being... time is limited and I have a ton of prep work to do. So as soon as I can carve out the time I will do a more thorough test of the new Compound +. I do have a review for it that I'll post next week. Thank you for reading and your follow-up questions. Love the Gyeon BaldWipe and PolishWipe towels. Usually prefer the BaldWipe for Prep wipedown and initial pass on coating removal, followed by 2nd buffing/wipedown pass on section with PolishWipe. The one caveat wirh the Gyeon towels is they seem to bleed blue during washing for a relatively long time so now I try to wash separate. 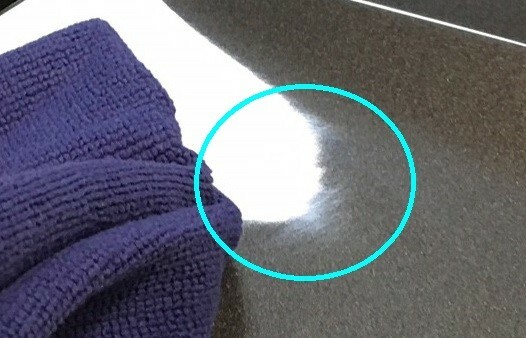 Curious as to where you stand on the 'Throw away any towels used to remove coating after use'; that can get a bit costly if addicted to the Gyeon towels. Initially i found the microsuede/block a bit inconvenient insofar as setting down, 'readjusting' cloth when picking up; saw/read somewhere using by cutting a shallow slit longitudinally down side of block, wrap cloth and tuck into slits and it stays pretty nicely. Great write up and you write so we understand it. Many write as you are an experienced user. And accually it's the companys who creates them and their descriptions left out many things. As when you buy a coating kit. They don't write that you need more applicator towels and wipe of towels than you get. You would think 4 applicator towels and a wipe of towel is enough. But when you read about experienced user apply the coating they use alot of towels. Is the towels enough to apply a coating that follow the coating kit in your opinion? Thanks for the detailed write up!